Bill Ruh, chief executive officer at GE Digital and senior vice president and chief digital officer at GE delivers the keynote. More than 250 scientists and entrepreneurs gathered last week at the OHSU Commercialization Conference, now in its fifth year. The takeaways? Disruptive innovation in science follows years of research that is carefully framed to address specific problems; business engagement can help move scientific discoveries to the patient; and OHSU’s structure that locates research outside the five schools creates special opportunities for transdisciplinary research, training, and education. 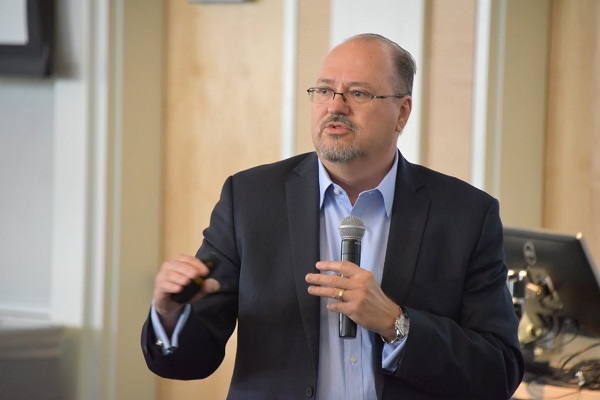 A thread running through the conference, hosted by OHSU Technology Transfer and Business Development, was the relationship of disruptive innovation to biomedical research and health care. Keynote speaker Bill Ruh talked about some of the ways in which digital technology has revolutionized industries. Ruh, chief executive officer of GE Digital and senior vice president and chief digital officer of GE, estimates a 1 percent increase in efficiency in health care would lead to $63 billion savings over 15 years. That spans improvements in imaging systems to connecting hundreds of thousands of machines and shifting image post-processing from onsite to cloud-based analytic systems. When and how digital solutions can improve processes are important questions. There are differences in how digital solutions can improve processes and health care delivery and what constitutes “disruptive” change in biomedical research. Trial, error, and failure are fundamental to the process of scientific discovery. Breakthrough innovations are often built on advances of previous knowledge and can take decades of what Brian Druker, M.D., called “wandering in the woods.” That was the case with immuno-oncology and the drug Gleevac, developed by Druker, director of the OHSU Knight Cancer Institute. Druker, in the opening executive panel, said that in order to spend the necessary time on research for breakthroughs like Gleevac, broadening the funding portfolio is important to free up time for scientists to focus on basic research. Funding for biomedical research and development comes from a range of sources. There has been a transition in pharmaceutical companies’ internal R&D to external collaborations, which is a growing source of funding for scientists. Jay Parrish, Ph.D., M.B.A., a senior vice president at Vir Biotechnology was one of the panelists discussing how partnerships with investors can lead to successes. Vir Bio recently acquired a vaccine platform developed by scientists at the OHSU Vaccine and Gene Therapy Institute. When it comes to funding in the entrepreneurial space, industry experts on a panel addressing women in science and business discussed the persistent lack of funding for women. That could be for a number of reasons, but it is an issue panelists agreed needs to be taken seriously. Increasing the number of women scientist-entrepreneurs is not about men versus women, it is about bringing to the table the best of all perspectives. In a panel on alternative funding for innovation and startup companies, the main takeaway was that “alternate funders” often have goals and values that allow them to support projects and take risks a venture firm cannot. For example, the research goal of the Defense Advanced Research Projects Agency is to support the health of troops, veterans, and dependents. The Multiple Sclerosis Foundation’s purpose is to find a cure and improve patients’ lives. 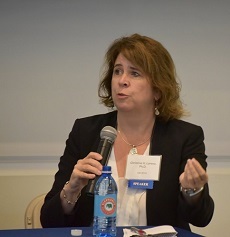 Christine Lorenz, Ph.D., VP of research & clinical collaborations in molecular imaging at Siemens, joined the panel on molecular imaging in the era of personalized medicine. Scientific discovery and commercialization rely on collaboration and cross-pollination to address specific problems in health care. OHSU research and educational enterprises span schools and research institutions to make this happen. In the opening remarks, Provost Elena Andresen, Ph.D., highlighted programs in the Office of the Provost that span the university, including OHSU simulation and interprofessional education, that encourage collaboration across schools. Dan Dorsa, Ph.D., senior vice president of research, spoke about some of the recent significant innovations at the Vollum Institute, the Knight Cancer Institute, and the Oregon Clinical and Translational Research Institute, which just received a $37 million grant. That grant will fund the support services OCTRI provides to the OHSU research enterprise and the commercialization process. The role of process, shared vision, and output were the focus of the keynote address by Gerry Langeler, M.B.A., from OVP Venture Partners. John Hunter, M.D., F.A.C.S. provided the closing remarks. Hunter, the chief clinical officer at the OHSU School of Medicine, brought together the various threads of the conference. Innovation requires diverse and multidisciplinary teams – from the laboratories and along the way to commercialization — and digital innovations will propel health care in new and not always foreseen ways. 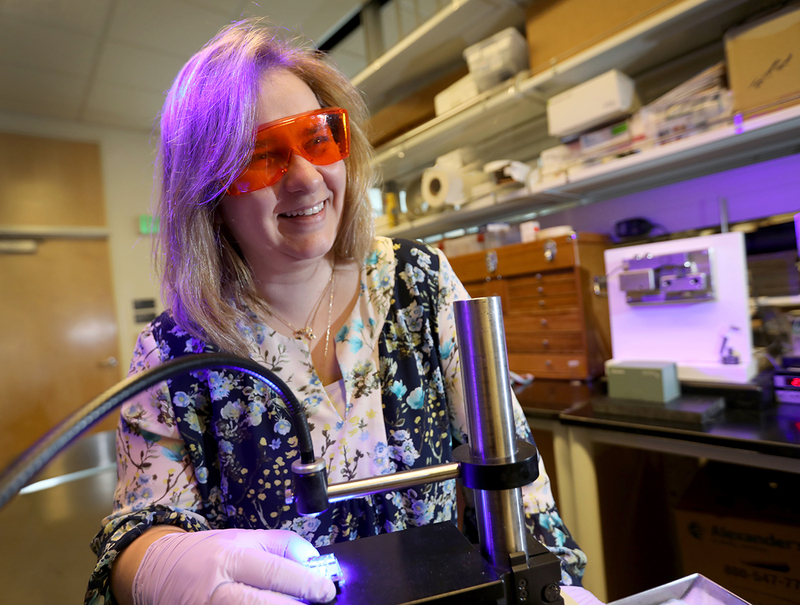 OHSU, said Hunter, has a long history of scientific discovery that has moved from the bench to the bedside, and the next innovations are already being developed in laboratories across campus. Read a wrap-up of the 2017 Commercialization Conference in the next Technology Transfer and Business Development newsletter.